Let the Round Two of the Live Blog Begin…It will be over quick! 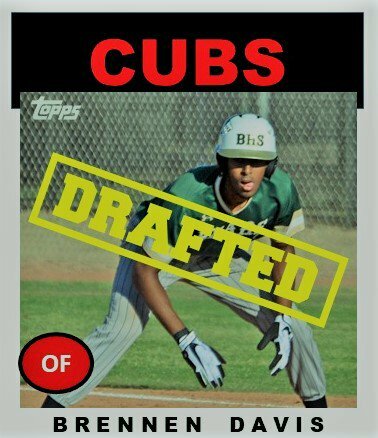 To see the Cubs Central profile on the Cubs’ first round pick Nico Hoerner, click here. 10:55 pm – I am left shaking my head a bit. Cole Roederer could be a nice player as could Paul Richan. The Cubs could have gotten both of them in the fourth and fifth rounds. However, they have them now. I will have a summation up shortly. 10:40 pm – Davis was ranked number 145 by MLB Pipeline and 136 by Baseball America. Very athletic kid and is a high-risk, high-reward type of kid. 10:30 pm – The first of three second round picks is in. Brennen Davis of Basha HS in Arizona. He’s 6’4″ and 175 lbs. 10:20 pm – Bo has really stole the show tonight, but the Cubs pick at 62 could be equal in talent to Hoerner. Cubs are up in two picks. 10:15 pm – The Cubs will be up shortly. They are going to get a player who is very good. There’s still a lot of first round talent still available. 10:10 pm – With those promotions, there is going to be a lot of movement starting tomorrow and over the next two weeks as players sign their contracts. 10:00 pm – Big promotion news is stealing some thunder from the draft. Both Trevor Clifton and Dakota Mekkes are heading to Iowa from Tennessee. Both have had excellent first halves. For Trevor, it’s a been a long road and I could not be more excited for him and his family! 9:40 pm – The second round is about to start in ten to fifteen minutes. In the second round, there is only a minute between picks. So, strap yourself in and get ready for a quick ride. I will just do one post on all three picks.